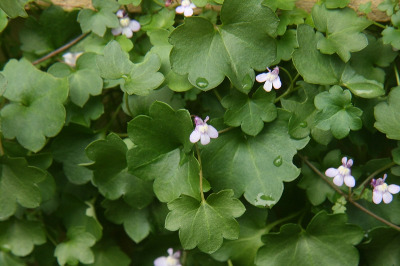 Cymbalaria muralis G. Gaertn., B. Mey. & Scherb. Introduced from Europe, locally established as an escape from cultivation to shores and disturbed ground around buildings and along sidewalks. First collected in 1902 in Antrim Co.
MICHIGAN FLORA ONLINE. A. A. Reznicek, E. G. Voss, & B. S. Walters. February 2011. University of Michigan. Web. 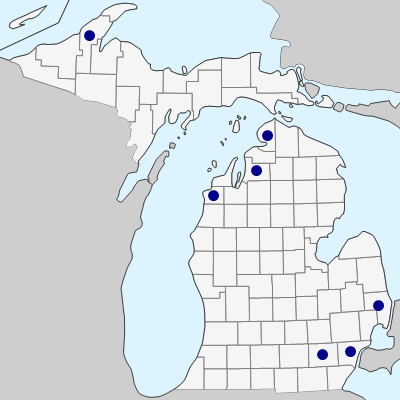 April 21, 2019. https://michiganflora.net/species.aspx?id=1939.